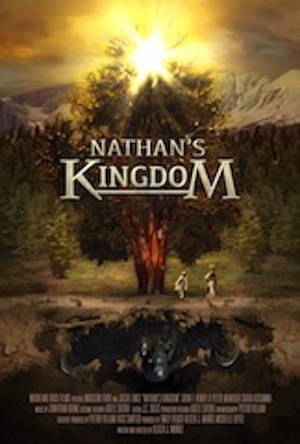 Nathan’s Kingdom, a dramatic motion picture about one young man's battle with autism and the fantasy world to which he and his sister escape, premieres on the West Coast at this year’s acclaimed Dances With Films Festival Wednesday, June 13, 7:15 PM at TCL Chinese Theatres, Auditorium 1, 6925 Hollywood Blvd., Hollywood, CA 90028. Actors from the film, including writer-director Olicer Muñoz, will be in attendance. Watch trailer here. Jacob Lince, 24, takes away any preconceived notion of what an actor on the spectrum should “act” like, as his character, Nathan, leads the audience into a dark fantasy while he struggles with his teenage opiate-addict sister, Laura, (played by Madison Ford), his sole and loving caregiver. ”I was adamant that the title role of Nathan be played by an actor on the autism spectrum,” says the film’s writer-director-producer Olicer J. Muñoz, 38, who contacted the Performing Arts Studio West (PASW), a one of a kind non-profit and state-funded training facility for adults with developmental disabilities. Through the organization, Muñoz auditioned dozens of actors and discovered his lead actor, Lince. Muñoz began writing the script upon graduating with an M.F.A. from the prestigious American Film Institute (AFI). Earlier in his career, the bi-lingual (Spanish) filmmaker worked with Academy Award winner (“Scared Straight”), Emmy and Peabody Award winning producer Arnold Shapiro who instilled in Muñoz the golden rules of filmmaking. “Shapiro taught me how to master a story and allow the narrative to take on a life of its own. It was under his watch that I began writing and developing Nathan's Kingdom," says Muñoz, whose family hails from Mexico. Muñoz counts Oscar-winning directors Guillermo del Toro, Peter Jackson and Alejandro Gonzalez Inarritu as his directing role models. Nathan's Kingdom was co-produced by Michelle Opitz who received her B.F.A. from Chapman University where she met Muñoz and later studied at the American Film Institute (AFI). Emily Beach (Brown Eyed Girls Productions) is also co-producer under Opitz’s and Beach’s banner. Visual effects, CGI animation, combined with live action and unique sound design enhance the highly stylized fantasy film sequences that reflect the inner workings of Nathan’s imagination. NATHAN'S KINGDOMDramatic Motion Picture about Young Man's Battle With Autism NATHAN'S KINGDOM POSTERSTARRING JACOB LINCE. WRITTEN AND DIRECTED BY OLICER J. MUÑOZ Jacob Lince and Madison Ford Star in "Nathan's Kingdom" New Dramatic Feature FilmStars actor on autism spectrum, Jacob Lince, in an emotional coming of age and complex sibling relationship story . Nathan's Kingdom is Official Selection at Dances With Films Festival June 13, 2018 in Hollywood, CAActor on Autism Spectrum Stars in New Feature Film Making its West Coast premiere Nathan's Kingdom Premiere at Dances With Films Festival June 13 "Nathan's Kingdom" stars Jacob Lince, an actor on the autism spectrum.In the first film of its kind, "Nathan's Kingdom, a dark fantasy coming of age film is about a young man's battle with autism and his fantasy world. "Nathan's Kingdom" stars actor Jacob Lince as Nathan in new dramatic film about one young man's battle with autism. Photo Credit: © 2018 Moon and Back Films, LLCJacob Lince and Sarah Assumma in new dark fantasy coming-of-age dramatic film about a young man's battle with autism.